Part of the American Dream is owning a home, but sometimes hard times fall on good people. No one deserves to lose their home or suffer financial hardship. Luckily, there are some ways to be better at Managing Mortgage Debt. You don’t have to risk losing your home to foreclosure if you follow these steps. The best way to prevent mortgage debt problems is to make sure you buy a home you can actually afford. Although you may think you can afford a house of a certain value today, consider whether that home is still affordable if you lost your job or came under sudden financial disaster. First, outline your monthly budget. A good rule of thumb is to keep your mortgage payment less than 25% of your total monthly income. For example, if you make $4500 a month at your job, your mortgage payment should not exceed $1125 a month. Second, shop within your budget range. Determine your home shopping range based on your monthly budget. Therefore, find out what is the maximum home price you can buy and keep your monthly payment less than 25% of your income per month. It can be tempting to see houses outside of your range, but you are at risk for falling in love with a home you can’t afford and overspend. Last, be sure to account for all of your monthly expenses. Buying a home doesn’t just include your actual mortgage payment each month, but also taxes, insurance and repair costs. Be sure to estimate these costs into your determined budget. 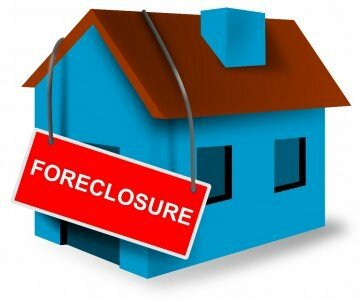 If you are already suffering financial hardship and are at risk of foreclosure, or already in the foreclosure process, managing mortgage debt is still possible. First, never miss a mortgage payment on purpose. This might seem obvious, but there are people out there that will try to convince you this is the way to manage your mortgage debt negotiations. This is not good advice and will lead to a worse outcome. Second, contact your lender right away. Lenders aren’t bad people and most are willing to work with you to find a solution rather than risk losing money on a loan that gets put into foreclosure. Talk to your lender and see what options they can offer you to get caught up on your mortgage. Last, and most importantly, always consult an experienced bankruptcy lawyer in Houston about your options for managing your mortgage debt. Whether you decide to modify your existing loan, negotiate a deal with your lender or file for bankruptcy to eliminate other debts, your lawyer can help you make an educated decision that is best for you.